Cellular Logistic’s (CLI’s) biomaterial is derived from the culture of human cardiac fibroblasts. Cardiac fibroblasts are a cell type found within the heart which are responsible for the deposition and maintenance of extracellular matrix (ECM) proteins. ECM proteins provide a natural structure or frame work for cells to attach too. Until recently, it was believed that ECM proteins were inert and only provided structural support for cell attachment. It is now known that ECM proteins are bioactive, providing important cues and signals for cell proliferation (growth), differentiation, and even death (apoptosis). The biomaterial developed by CLI has a unique protein composition, being composed primarily of the highly bioactive ECM protein, fibronectin, with smaller amounts of structural collagen (types I, II, and III). In addition, the material contains bioactive molecules and cytokine which further influence and direct cell behavior. In all clinical trials to date, transfer of therapeutic cells for cardiac repair have resulted in little or no discernable benefit. 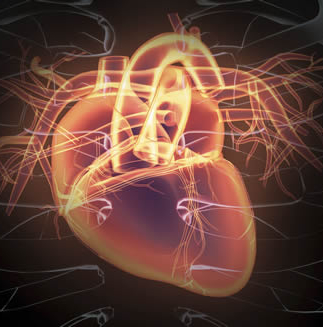 One neglected component of cell therapy is the retention and integration of therapeutic cells into the damaged heart. Studies have shown that cells directly injected into the heart muscle or infused into the coronary or systemic vasculature result in very poor retention and engraftment after 24 hours, with less than 1% of therapeutic cells detectable after a few days of treatment. Due to the hearts continuous, rhythmic contraction, cells injected into the muscle are or infused into the vasculature are rapidly pumped out of the heart and lost to the systemic circulation, frequently lodging in the lungs, liver and spleen. Of the cells that do remain in the heart, many die from anoikis, which is a form of programed cell death that occurs in the absence of the proper cell-ECM interactions. CLI’s biomaterials is rapidly populated by adherent therapeutic cell types. Once the ECM-cell suspension is injected into the heart, the ECM fragments are large enough to lodge in the interstitial space, resisting being pumped out of the heart. In addition, therapeutic cell survival is significantly increased as anoikis is reduced and cells have a “launching pad” from which they can infiltrate and integrate into the heart. CLI’s biomaterial ultimately increase cell retention survival and integration thus increasing the efficacy of cell delivered by CLI’s biomaterial.